The Republican leader also suggested that Clinton's words of support to protesting professional athletes -- who in recent weeks have drawn the president's ire by kneeling during the national anthem before sporting events, a statement against racial injustice -- was one example of why she lost the 2016 race. 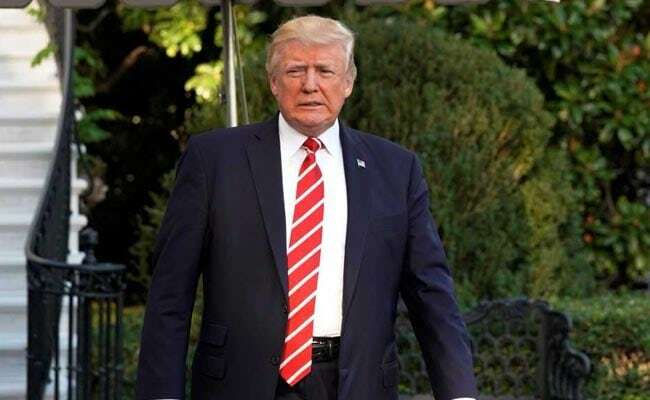 Washington: US President Donald Trump on Monday suggested he would beat former rival Hillary Clinton in a 2020 rematch, encouraging the Democrat to try her luck against him in the next presidential campaign. "I hope Hillary runs," he said during a press conference. "Hillary, please run again! Go ahead." "Honestly, it's that thinking and that is the reason she lost the election," Trump said, after dubbing Clinton's position on the issue "wrong." Kneeling during "The Star-Spangled Banner" is "disrespecting our flag" Trump repeated concerning the issue he has reignited in recent weeks, after saying players who refused to stand for the traditional pre-game anthem should be fired.